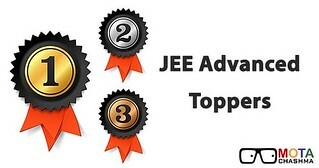 JEE Advanced Toppers 2018 –Indian Institute of Technology (IIT) Kanpur has announced JEE Advanced Result on 10 June 2018. This year Pranav Goyal from Panchkula has bagged AIR 1 with 337 marks out of total 360 marks. 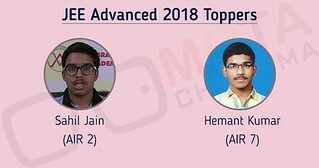 Sahil Jain and Kailash Gupta from Delhi Region have secured JEE Advanced AIR 2 and AIR 3, respectively. 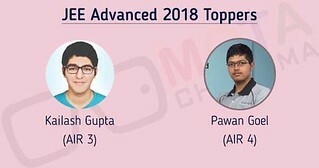 Pawan Goyal secured AIR 4, Mavuri Siva Krishan Manohar secured AIR 5 With the announcement of JEE Advanced result, Mota Chahsma presents the profiles of top 10 JEE Advanced rank holders. The complete list of JEE Advanced toppers 2018 along with their marks is provided below. This year, only 1,60,716 candidates registered JEE Advanced which is less than the candidates who qualified for JEE Mains. A total of 18138 students has qualified with 2076 females. 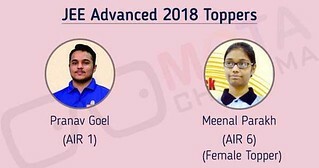 We at Motachashma.com congratulate all the toppers of JEE Advanced 2018. These students prove that “There is no shortcut to success and no substitute for hard work”. The candidates who could not perform well in the exam should not lose hope. They should go next year with better preparation and strategies.